Recovering data from SD Card or PC is an easy task. But recovering data from internal memory of an Android phone might be quite difficult. Hence, we have created a list of apps that can recover deleted files from Android Phones Internal Memory. All these apps are free of cost and easy to use. DiskDigger is an image recovery app that can recover photos from internal and external memory of Android Devices. It is the most popular and downloaded recovery app from Play Store. DiskDigger will work for both rooted and non-rooted device. But for better performance, root your device. 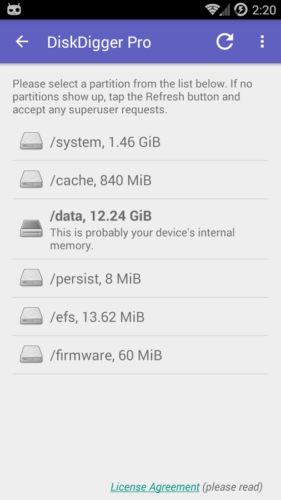 DiskDigger will work better in rooted device, since it can access to all of your device’s memory. DiskDigger is available in Google Play Store. Download it from the link below. To use DiskDigger, just download the app and install it. Select your Partition and click “next” to scan. After the scan is finished, select your images to recover. 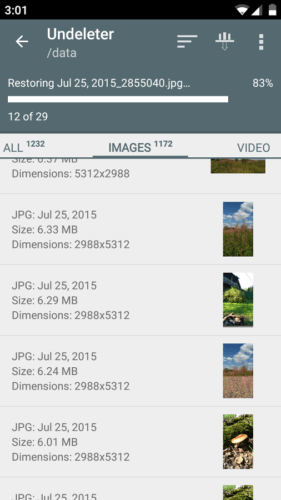 Selected Images can now be saved in your Dropbox, Gmail or Google Drive account. DiskDigger Pro is also available to recover video files or mp3 files. Undeleter recover files & data App is also a recovery app that can restore your image files. You will have to buy a pro version to restore other files like mp4 or mp3. 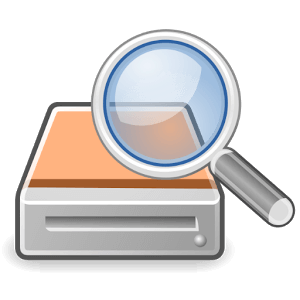 DigDeep Image recovery is another recovery app tor restore our deleted Image files. You don’t need to root your mobile in order to use this app. 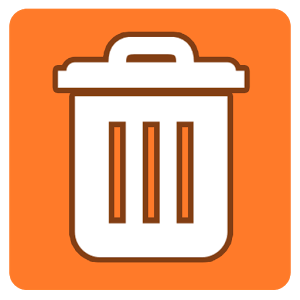 DigDeep will scan both your internal and external storage and will show you a list of potential deleted files. You can then select deleted images and recover then on your storage card. Go to Settings > Applications > Development > USB Debugging. 3: For Android 4.2 and higher. Scroll down to “About Phone” Option. Click on it and locate “Build Number”. Tap the Build number field seven times to enable Developer Options. Developer options are now enabled on your phone. GO back to settings to locate developer options. It is probably near “About Phone” option. Tap the USB Debugging option. After enabling USB Debugging, connect your phone to PC via USB port. Using Disk Debugging will enable internal memory to be accessed by recovery softwares. Now download any of the below software to recover your deleted files. All of these will require a pro version, so proceed with your own risk. Both these PC softwares are also available for Mac versions.